I just got done watching Eric's review of Lionel's Legacy H10 which I enjoyed. I do not remember seeing this review on the forum. Also I noticed at the end of the video there is no shout out to the O Gauge Forum that was a standard on the closing of his video's for quite some time. Did anything change on Eric's status on the forum? Eric said the H10 was a amazing engine to which I, as a owner of the Pennsylvania Lines #7109 H10, agree completely. 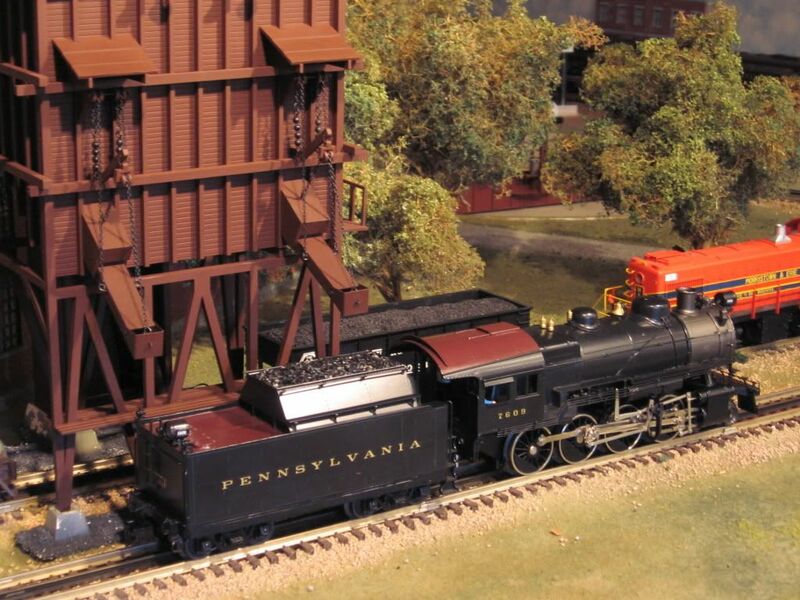 One thing he did not mention on the review was that certain road names came with the CC2 tender instead of the E6 tender used on the Pennsylvania engines. I just think the H10s with the CC2 tender move this engine up at least one more step. What comes after amazing? Did Eric mention the big mold seam running the length of the boiler top? And he was so wrong about the crew talk. He says that about the crew talk with sarcasm. The one thing that kept me from acquiring this engine, was the mold seam line. I am surprised that Eric did not mention this. Seam line? Crew talk? No one noticed that the close-up of the builder's plate clearly showed that it said class "H-9", not "H-10"? The seam line I found annoying only as it went across the sand dome (it was strangely missing on the steam dome, but that did not appear to be a separate piece; maybe it was easier to smooth than the sand dome, as there was no detail in the way). Seam line? Crew talk? No one noticed that the close-up of the builder's plate clearly showed that it said class "H-9", not "H-10"
And the builders plate is correct. 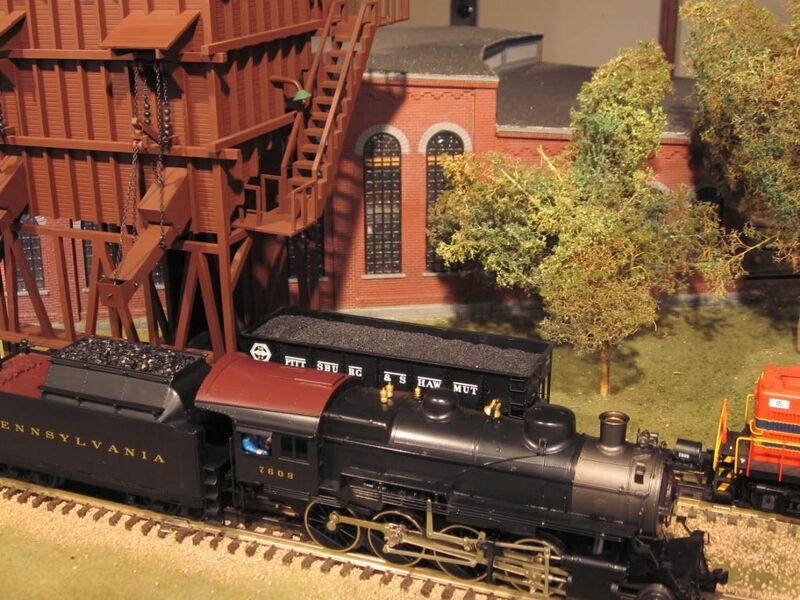 The model is of an PRR H9 class steam locomotive. - Why would an engine of this vintage have tower com and crew talk? The cab was not equipped with a radio. Notice the N5 caboose at the end with the train phone antenna. Looks like the front green marker lights on the pilot went out at some point. They were on when the engine started its run, but then were out for the remainder of the video. Great review and engine. Unfortunately, I passed on it because I had recently purchased the MTH PS3 version. I'm not a rivet counter, but there are significant differences between the Lionel and MTH engines. Nothing has changed as far as Eric's great relationship with OGR...and as a matter of fact he is now doing magazine reviews for OGR in both our print and digital versions. He usually has our magazine and forum credited in certain videos he does so I am not sure what was different in this case....great review! I always enjoy Eric's review, this one included. Perhaps the reference of no OGR may have been because he was trying to get this finished and up on YouTube. Regardless of the reason, it is always great to get someone's review on a product that has as much information that can be amassed within the timeframe given. It is also refreshing to have a little humor in there(the crew talk jokes) as well as some other wit. I know that sometimes things may be incorrect or slightly off, and Eric has stated in other reviews that he won't give the whole history or facts on an engine because he'll never hear the end of it. I think that it is a good thing to just hear someone's take on a model train that won't put you to sleep because of it being all monotoned or just overly stuffed with facts. Take it for what it is, a model that is or might just close to the mark of the real deal, or something that is way off base. Either way, Eric is doing the best for the hobby. I know for myself, I would never be able to do a review on anything. I just take satisfaction in enjoying whatever the model is and not concerned too much on what is wrong with it or what should be being pulled along. The reason OGR isn't mentioned is because my old computer crashed and I don't have the OGR logo and voiceover clip loaded onto the new computer yet. I'm going to have to create a new one. Somehow that's...better? At least the model and the plate agree with each other, if not with the catalogue info. Weaver's offering many years ago. I recommend forgetting the catalog info and what it says on the box. It is a model of an H9. I think if you buy these "H10" engines that once on your layout hide the box and just call them H9s because that is what they really are. Additionally, it turns out that three of the PRR cab numbers in the first catalog belonged to H9s, not H10s. They are #1288, #7109, and #3529. I think what killed it for me was the bright silver painted smoke box some of them! Great job on the video Eric. I miss seeing your beautiful Chessie cat though. It would be great if you included a quick shot at the end of each of your videos so that we can watch it grow up. The picture of it under the blanket, sleeping, in OGR mag is priceless. I have one question on the engine, do you know if the front coupler screw Lionel uses is the same as MTH's screw? I have an MTH H10 missing it's screw and they don't sell them. Maybe Lionel sell's their's and it's the same. Also, what did you use to make your black top for the crossing? It looks great.